Funko Pop Vinyl Game Of Thrones GoT Hodor Vaulted And Rare. No Inner Plastic. #252 Surtur. Pop Funko Vinyl Bobble-Head. Friends TV Series Pop! The Phoebe Buffay POP! Add To Favourites. This does not affect your statutory rights. In the unlikely event that you receive an item which proves to be faulty we are happy to help. Get ready for another adventure with Gru and the Minions! Take photo of outside, inside and contents of the box. We will arrange the pickup of the item. These are industry accepted discrepancies. "I'm picking you up now. Whether you love the comics or cannot get enough of Goose the cats cinematic portrayal, this Captain Marvel Goose Funko Pop! An official product of Funko Pop! and is perfect for personal use or a gift for all the fans of Captain Marvel and Comics in general. Funko POP! Big Bang Theory - Sheldon. Leonard Hofstadter, Pop! Sheldon Cooper, Pop! Penny, Pop! Howard Wolowitz, Pop! Rajesh Koothrappali, Pop! Amy Farrah Fowler, Pop! Funko Pop! Joey Tribbiani in Chandlers Clothes - Friends. "There is no talent here, this is hard work, this is an obsession!". and is perfect for personal use or a gift for all the fans of Conor and UFC. Our aim is to provide high-quality products at affordable prices. "What are your superpowers again?. I'm rich.". 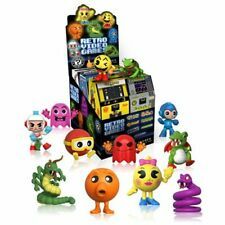 An official product of Funko Pop! and is perfect for personal use or a gift for all the fans of Batman and Comics in general. Funko POP! Star Wars: 3PK “Mos Eisley Spaceport. You’ll never find a more wretched hive of scum and villainy ever.”. Join Ignacio “Nacho” on a campaign to simultaneously fund an orphanage and claim luchador glory. Funko POP! For 90's kids, you know there was no better way to spend a free afternoon than bingeing endless hours of Nickelodeon shows. This Rugrats Angelica Pop! Character: Angelica. "Be careful what you wish for.". This The Other Mother Pop! Ages 4 and up. Take photo of outside, inside and contents of the box. We will arrange the pickup of the item. These are industry accepted discrepancies. Funko Pop! ANIMATION: DRAGON BALL Z-. SPECIAL EDITION. Sold as seen in the pictures. Funko POP! Funko's POP! Paint work may vary slightly from that pictured. Fortnite Pop! Brite Bomber joins the Fortnite collection from Funko! This Brite Bomber POP! Add To Favourites. This does not affect your statutory rights. In the unlikely event that you receive an item which proves to be faulty we are happy to help. Feel the Fire with Daenerys Targaryen Funko POP! Funko Pop! It stands approx. We will arrange the pickup of the item. Take photo of outside, inside and contents of the box. These are industry accepted discrepancies. Hi welcome to my listing for this MARVEL IRON FIST Funko Pop Vinyl Bobble-Head Figure. Funko POP. Iron Fist. Marvel. #188. PLEASE NOTE: Box does have some sticker label wear and slight cosmetic wear from storage. Overall excellent condition only been opened once to view then put back on display. THE ITEM YOU SEE IN THE PHOTOS IS IN COMPLETE EXCELLENT LIKE NEW CONDITION. THIS IS EXACTLY THE ONE YOU WILL RECEIVE. PLENTY OF PHOTOS TO VIEW SO PLEASE INSPECT THEM ALL CLOSELY. INCLUDES FREE P&P. THANKS FOR LOOKING AND PLEASE FEEL FREE TO ASK ANY FURTHER QUESTIONS. From Big Bang Theory, Raj, as a stylized POP vinyl from Funko! Collect them all! Funko POP! Character: Raj with Drink. Demogorgon Stranger Things Funko Pop Vinyl Figure Collectables #428. Condition is New. Dispatched with Royal Mail 2nd Class. Funko POP! For 90's kids, you know there was no better way to spend a free afternoon than bingeing endless hours of Nickelodeon shows. This Rugrats Spike Pop! Character: Spike. It stands approx. DC's most famous heroes and villains are ready to get tropical! Funko POP! Big Bang Theory - Amy with Tiara. Leonard Hofstadter, Pop! Sheldon Cooper, Pop! Penny, Pop! Howard Wolowitz, Pop! Rajesh Koothrappali, Pop! Amy Farrah Fowler, Pop! The soul singer and song-writer, Amy Winehouse, is back and in Pop! Vinyl form! Donning her famous beehive, Amy will look jazzy as part of your Funko collection. The Amy Winehouse Pop! Vinyl figure measures approximately 3 ¾ inches tall and comes packaged in a window display box. 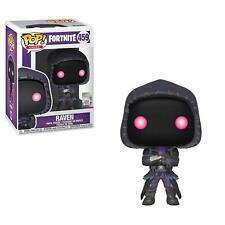 Fortnite Pop! Black Knight joins the Fortnite collection from Funko! This Black Knight POP! Add To Favourites. This does not affect your statutory rights. In the unlikely event that you receive an item which proves to be faulty we are happy to help. "Hey, How you doin!". It has been well over a decade since Friends last aired, but we all still love it. An official product of Funko Pop! and is perfect for personal use or a gift for any fans of Friends. "Even with my back against the wall—I don't give up!". Whether you love the comics or cannot get enough of Brie Larson cinematic portrayal, if you are a fan of Carol Danvers, then this Captain Marvel Funko Pop! FUNKO POP VI - Star Wars, Kylo Ren Pop Vinyl. #105. (Unmasked) (Action Pose).